This badge was issued to Martin Caarels on 18 Nov 2015. The badges recognizes the achievement of the Dell EMC Proven Professional Specialist - Systems Administrator, Isilon Solutions Version 1.0 certification. Earners of this badge are able to demonstrate an understanding of the Isilon technical architecture, administration and operation of the data storage product. This specialization expands upon the associate level knowledge to specifically detail all components within the hardware and software that make up Isilon and the OneFS operating system. 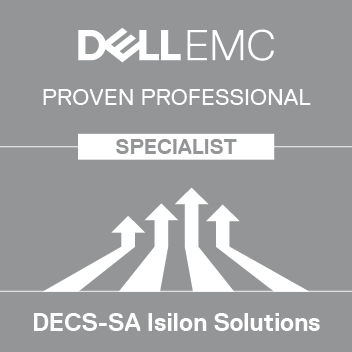 Achieve the Dell EMC Proven Professional Specialist - Systems Administrator, Isilon Solutions Version 1.0 certification.